Royal Spanish Canoe Federation (RFEP) awarded the best athletes of the season 2018 at their annual gala which was held in Madrid. At the 36th edition of gala Carlos Garrote and Teresa Portela won the titles of best athletes in the previous year. RFEP celebrates 60th anniversary this year and they have presented the new anthem of the federation during the gala evening. Carlos Garrotte, 27-year-old paddler from Zamora, had an excellent year 2018. He won everything that was possible to win in men’s K1 200 meters event last year. First he became European Champion in Belgrade, then won at the Mediterranean Games in Castelldefels, and finally won World Champion title in Montemor-o-Velho. With these achievements he earned the David Cal Trophy for the best senior male competitor of the year. The Iberdrola award for the best senior female paddler of the year went to the hands of Teresa Portela. She won a medal at the Mediterranean Games, was fourth in women’s K1 200 metres final at the European Championships in Belgrade and eight in the same event of the World Championships in Portugal. 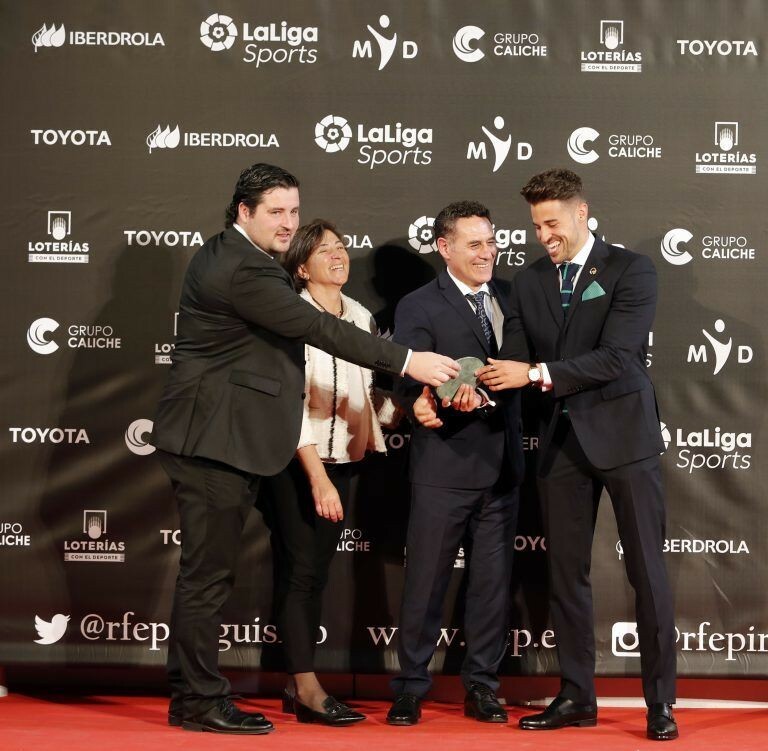 Luis Brasero received Jose Montes award for the best coach of the year for the fourth time. He is the person behind the success of paddlers in K1 200 metres, K2 1000 metres, K4 1000 metres and K1 5000 meters events. The best athletes in the U23 category are canoe slalom paddlers Miren Lazkano and David Llorente. They have won World Champion title in C2 mixed event of the U23 Championships in Ivrea, Lazkano also added two C1W team gold medal from U23 European and World Championships to her collection, while David Llorente became U23 European Champion in Bratislava. There was no doubt who will receive an award for the best male junior paddler of the year. Canoe slalom paddler Miquel Trave wrote history at Junior European Championships in Bratislava winning Junior European Champion titles both in C1 and K1 event, and he won Junior World Champion title in C1 only a few weeks before that. An award for the best female junior paddler of the year was won by Carla Frieiro, canoe sprint paddler who was fourth in K1 at Junior World Championships. Juan Antonio Valle and Ines Felipe are the best paracanoeists of the year, while the best team of the year award went to men’s national canoe polo team which picked up bronze medal at World Championships. The award for the best judge went to Fernando Alonso and volunteer award went to Agusti Cucurulls. 60th anniversary anthem of the Royal Spanish Canoe Federation can be heard in the video below.